Find out exactly what your car is trying to tell you with this guide. Simply click on any of the icons below for an explanation and then schedule a service appointment so it can be taken care of. 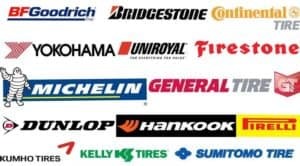 We'll Match Any Manufacturer Priced Tire Quote! Includes complete Drain and Fill of vehicle coolant system. Check Coolant System for Leaks and proper operation. When you ask “what does my dashboard warning light mean,” you’re trying to translate car to English. Maybe it’s just saying that your tires are under-inflated or you’ve switched your overdrive off, but it could also be screaming out for help. Car warning lights are designed to alert the driver to a problem that needs fixing, and the worst thing you can do is ignore it. Be proactive by scheduling a service appointment at our trusted service center in Lawrence right away, where we can let you know just what went wrong and how we will fix it. At Commonwealth Kia, we have plenty of service specials that make it easy to drop by and have us look under the hood. Commonwealth Kia is located at 2 Commonwealth Dr. in Lawrence, MA, just minutes for many of our drivers — there’s no excuse to put off having those engine lights checked. Our service center is open seven days a week, so feel free to reach out to us online or call us at (978) 965-8431 with any questions.